Episode two of Shameless US continues to follow the same storyline as its British counterpart. Frank Gallagher (William H Macy) goes missing… “yeah but he goes missing all the time” come the retorts, but today is disability allowance day, therefore his disappearance is actually taken seriously, he never misses it. After a lot of worry Frank eventually turns up in Canada (it was France in the UK version). The change in location is handled well. Surprisingly the script is still almost a carbon copy of the UK Shameless, proving just how solid the writing of the original show actually is and its ability to transcend across cultures whilst retaining a solid impact. One scene in particular demonstrates this between Frank and his youngest daughter Debbie (Emma Kenny). Despite Frank’s alcoholism and inaptitude as a parent, he is the apple of Debbie's eye, and when she asks him if he took any pictures of Canada (Frank was in a police cell) he tells her he now knows “every inch”. The scene is just as touching as the UK original. As a whole the ensemble cast of Shameless US is really coming into its own. They are all finding their feet as individual characters whilst effectively proving to be a solid family who truly care for one another. No More Potter Books Confirms Rowling at Pottermore Unveiling. 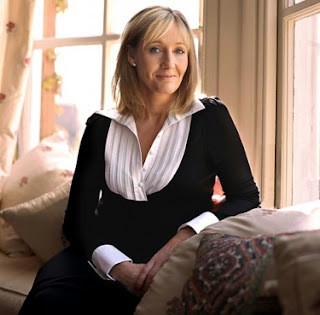 J.K. Rowling, author of the Harry Potter books, has confirmed that she will not be writing any more novels about the world of Harry Potter. Instead, she revealed that Pottermore was a new project that is purely online focused. Fans of the wizarding world will be able to interact with the novels in more depth. But the large build-up to the unveiling of the mysterious website has caused some frustration. Some who were expecting a ground-breaking announcement have instead branded it ‘potterbore’. People can register to Pottermore from 31st July, and the website will be fully launched in October. You can see Rowling's announcement below. What do you think? Disappointed that there will be no more books? Will you be signing up to the website? 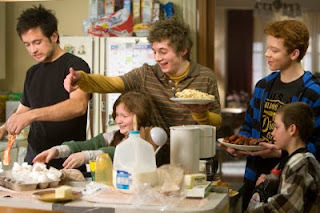 Shameless U.S. Series 1 Episode 1 – Are American Remakes the Ultimate Compliment? Shameless is part of a long line of TV serials that have been noticed for their success in Britain and picked up by American producers to be remade for a U.S. audience. Other TV serials that have been adapted for the American market include The Office, Being Human, and Skins. There is a popular notion that Americans are currently pining over anything British, whether it’s actors, singers, writers, directors, presenters, or royalty. Yet it was only about a decade ago when British drama went through a crisis of wondering why it never lived up to the standards set by the U.S. Shows such as The West Wing, 24 and The Sopranos stood on a pedestal, with their big budgets, beyond the reach of British drama. Now it seems that the U.K. TV industry cannot help but blush at the dizzy heights of a U.S. network coming along to remake their show. After American drama has been viewed as something to aspire to, it seems that interest from across the pond is now the ultimate compliment. But do these inherently British shows translate successfully to U.S. TV? British audiences are far more used to seeing American entertainment than the other way around and unfortunately it seems that British shows are not being given the same chance to infiltrate the American psyche to allow its audiences to relate to original British drama. Instead, it seems they have to be remade, with almost the exact same script, plot, and storyboard but with American faces, accents, and locations. 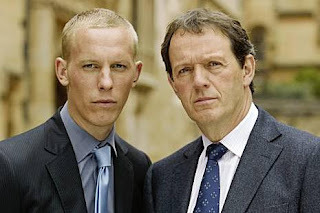 Labels: British drama, Emmy Rossum, Frank Gallagher, James McAvoy, more 4, Reviews, series 1 episode 1, Shameless U.S.
ITV have announced that they have recomissioned a new series of Lewis, starring Kevin Whately, as Inspector Lewis, and Laurence Fox as his partner, D.S.James Hathaway. The names of three new episodes have been released as Generation of Vipers, The Age of Foolishness, and Death of the Author. Generation of Vipers will be directed by David O’Neill (Law and Order UK) and Toby Stephens (Jane Eyre, Die Another Day) will guest star. Rachel Bennette, Simon Block and Russell Lewis, the writers who created the original series of Lewis in 2006 as a spin off from Inspector Morse, starring John Thaw, will remain on the popular drama, writing a number of the episodes. What do you think? Are you excited about these new episodes? The BBC have announced they are making a new Borrowers film for TV, showing on BBC one this Christmas. The cast includes Christopher Eccleston, Stephen Fry and Victoria Wood. 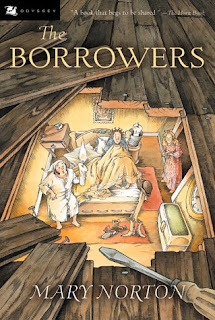 The 90-minute film is an adaptation of the classic children’s novels written by Mary Norton which tell the tale of a family of ‘little people’ who live under the floor boards of ‘human beans’. "I couldn't be more thrilled with Ben's take on this classic story. It feels fresh, original and above all funny. The perfect Christmas treat." 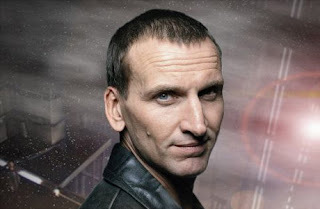 Christopher Eccleston will play Pod Clock, farther of the borrowers family, whilst Victoria Wood plays Grandma Driver, who knows the borrowers exist in her house and is determined to hunt them out of there. Stephen Fry plays scientist Professor Mildeye who also knows of the ‘little people’s’ existence and will go to any length to capture them in order to resurrect his academic career. Ben Stephenson, Controller of BBC Drama Commissioning, said that this is a ‘contemporary’ version of the classic tale, whilst keeping its original ‘charm’. Filming will begin this summer for five weeks, with Tom Harper (Misfits, This is England) as director. What do you think of the variety of talent working on this Christmas special? Who remembers Ian Holm as Pod Clock in in 1992 BBC TV serial, or more recently Jim Broadbent in the 1997 movie? How will this compare? This article can also be found at Step2inspireTV. Terrifying Final Trailer for Harry Potter and the Deathly Hallows Part 2 Released. Am I alone in being completely moved by this trailer? Since they did decide to split the final installment of JK Rowling's Harry Potter and The Deathly Hallows into a two-part film, I am left wondering from this trailer why they didn't just name the second half: The Battle of Hogwarts, as that is what this final chapter will eventually be known and remembered for. Although the deathly hallows are, of course, still present in this second part, verbal reference to them in the trailers is non-existent. Instead, attention is firmly focused on the battle (and destruction) of Hogwarts and the final duel between Harry and Voldermort. The mystery behind what the deathly hallows actually are is eventually discovered at the end of The Deathly Hallows Part 1. 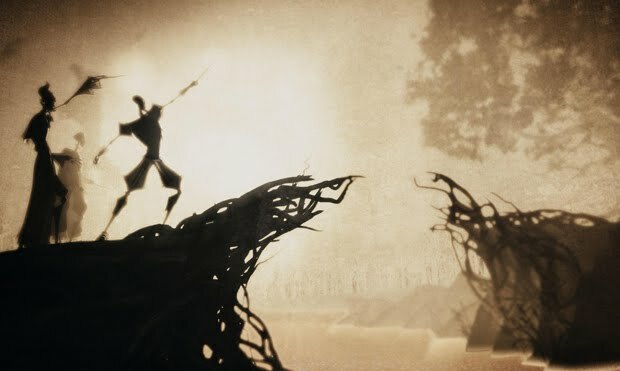 How could anyone forget the spectacular piece of animation that so tentatively relayed this mythological story (click here to see that magical sequence by Ben Hibdon). So, due to the films being split, I'm sure a change in title to match the focus of each movie would not be too confusing for viewers. Ben Hibdon Image see an interview with the animator here. However, I would not attempt to argue this case beyond just making this simple short point. Possibly this was a discussion that the studios had when the films were in pre-production but inevitably the need for fidelity to the books and the reassurance for Potter fans that the books have not been 'messed with' would undoubtedly hold priority. Yet, whilst the Harry Potter movies seem to pride themselves on achieving fidelity to the books, there are parts that deviate from the them for seemingly no reason at all (see my review of The Half Blood Prince for further reflections on this). And there is one part in all of these trailers for The Deathly Hallows Part 2 , which I'm sure will not have escaped the attention of most Potter fans, and that is when Voldermort and Harry fall together from the roof-top of Hogwarts. I do not remember this scene from the book and, unless there appears to be a good reason for adding it in when I see the film as a whole, I will probably be oh so slightly bugged by it. I like it when films are brave enough to change material from books, but with a film like Harry Potter, which has constantly walked the fidelity line whether rightly or wrongly, it only makes it all the more glaringly obvious when a scene deviates from this stickler of a rule. To summarise, deviation from the books is made more obvious through the consistent attempt to stick to them throughout the series. And if you're going to change anything my small suggestion would be to change the title (to The Battle of Hogwarts) one that is more fitting with the main narrative focus of, what is sadly, the final installment of Harry Potter on the big screen. Thoughts, fans and non fans alike?